Catherine is the most loved person in the office…and not just because she’s the one writing the checks! She also wants everyone to know that contrary to popular belief, being married to the boss is not a perk. Quite the opposite! Catherine spends her day managing the office, and helping in account service and public relations. Catherine is also owns and operates the Coastal Lice Center and is Myrtle Beach’s only trained and certified lice specialist. She is originally from Bennettsville, South Carolina, home of the world famous ”Sanitary Diner”. When it came time to go off to college, Catherine went against family tradition and traded in her tiger paws for Gamecock spurs. At USC, Catherine earned her undergraduate degree in Journalism and Public Relations and got her Master’s Degree in Education. It was during her college days, that a young Catherine met Tom and told him to go into advertising instead of sign painting(which Tom calls the luckiest day of his life). 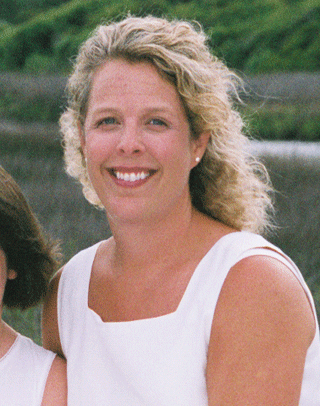 Over the past 20 years, Catherine has focused her career on teaching in North Carolina, Texas, and South Carolina. Catherine is very involved volunteering for school and is a Deacon at the First Presbyterian Church.